Rather than looking at property as somewhere to live, South Africans are now choosing to use property as a means of furthering their income. In this market, property is becoming a tool for investors.1 Before you begin with a development project, it is crucial to first establish how you will finance it, and how much of this budget you can borrow or create. It’s important for you to know the various financing options as a property investor, in order to properly apply for the option of your choice. 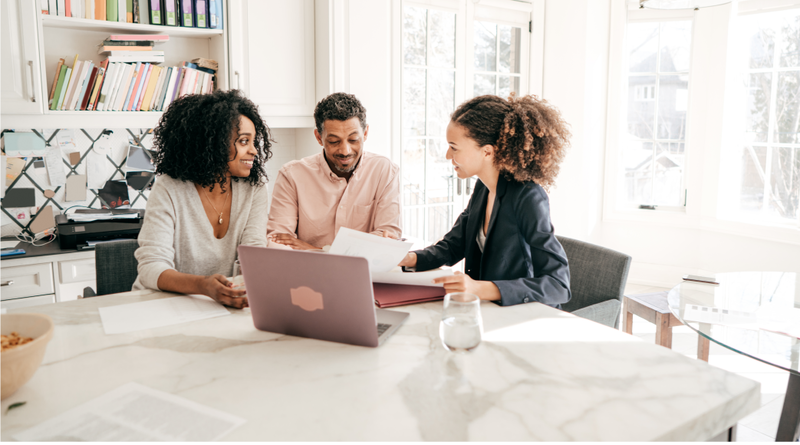 Before you even consider approaching a lender or an investor, you will need to make sure you have all the right planning in place to ensure their approval. Whichever loan type you end up pursuing, the important first step is to make sure you have everything in place to move ahead with your development project before you obtain the financing. As a first-time property investor – without a track record – one of your most important assets (apart from building plans and a deposit) would be in proving the ROI that you expect. Before you even consider approaching a lender or an investor, you will need to make sure you have all the right planning in place to ensure their approval. Once you’ve given these factors a good deal of thought, you should be in a position to fairly accurately predict what kind of return you expect on your investment, and this should be a deciding factor for any financiers you are approaching. There are really two types of loans that you could get from most lenders. These are 1) commercial or residential mortgages (a standard mortgage),8 and 2) development finance (where you won’t begin paying interest on your loan until after the construction of your development is completed, which some developers prefer). Remember that you will either need to fund each phase of your building project with different loans, or the entirety of it with one combined loan (which is preferred, if you can manage to get it approved). Development financing – Mostly only considered for businesses or individuals embarking on fairly big development projects, this option is a good idea if you have cash flow issues, but have confidence that your development will sell well post its construction.11 As mentioned above, development financing differs from the usual mortgage in that you won’t pay interest on your loan until after construction is completed on the project.12 This frees up some cash flow for you during construction, however it does mean that your repayments rise post construction (as you will end up paying interest on owed interest). While getting approved for a loan can be tiresome, the benefit of a loan over an investor is that your return-on-investment is fairly fixed, you retain full control over your development, and as such you stand to make much more on the project even though there is a greater risk. The other option to consider, which is only usually an option for those looking to start a property development business (or at least develop multiple properties), is to receive investment in your business that could cover the cost of your first developments. What investors require above and beyond traditional lenders is a show of true commitment to your business plan, and strong evidence that they will receive a good return on their investment.16 Investors hope to make money by being invested in a percentage of profit (whether that’s a project’s profit or a company’s profit) or a percentage of your business as a whole. Getting an investor on board sounds attractive, and it certainly has many benefits, but that’s not to say it’s the right move for everyone. Remember, you’ll be splitting your profits with this investor, and possibly losing some managerial or creative control over your projects, depending on how great a percentage of your business or project they are “buying”. Always remember that you’re in this business as an investment, and obtaining financing for your project needs to form a part of your business plan. You need to make sure that, while your costs are covered, you are making back a considerable profit after repaying your financiers. Ideally, one project’s success will allow you to continue onto the next project, and in a better position than the first. Make sure you have done your due diligence on the ROI of your project, accept loans with fair interest rates, and don’t offer too high a share of your business to investors. 1 (Nov, 2017). ‘A guide to buying property as an investment’. Retrieved from Private Property. 2 Yadney, B. (Sep, 2018). ‘Property development guide part 5’. Retrieved from Property Update. 3 Yadney, B. (Sep, 2018). ‘Property development guide part 5’. Retrieved from Property Update. 4 (May, 2018). ‘How to start a property development business’. Retrieved from Entrepreneur Mag. 5 (May, 2018). ‘How to start a property development business’. Retrieved from Entrepreneur Mag. 6 Talane, V. (June, 2013). ‘R1,5bn Construction fines’. Retrieved from Corruption Watch. 7 (Jan, 2018). ‘The outlook for South Africa’s property market in 2018’. Retrieved from Private Property. 8 (Nd.). ‘How to finance property development’. Retrieved from Funding Options. 9 (Nd.). ‘How to finance property development’. Retrieved from Funding Options. 10 (Nd.). ‘How to finance property development’. Retrieved from Funding Options. 11 Yadney, B. (Sep, 2018). ‘Property development guide part 5’. Retrieved from Property Update. 12 Yadney, B. (Sep, 2018). ‘Property development guide part 5’. Retrieved from Property Update. 13 Pritchard, J. (Oct, 2018). ‘Borrow money to fund a land purchase’. Retrieved from The Balance. 14 (May, 2018). ‘How to start a property development business’. Retrieved from Entrepreneur Mag. 15 Kennon, J. (Dec, 2018). ‘Two types of investment you can make in a small business’. Retrieved from The Balance. 16 Rampton, J. (Aug, 2016). ‘7 steps to a perfectly written business plan’. Retrieved from Entrepreneur.